Scenic Pearl Lake Road, Lisbon/Sugar Hill. 23+/- acres with amazing views at the top and could be even more breathtaking with additional clearing. It&apos;s a bit of a trek to the top but worth it to someone with vision and a desire to be on " top of the world! " As an added bonus and option, owner is a land clearer and available for hire. 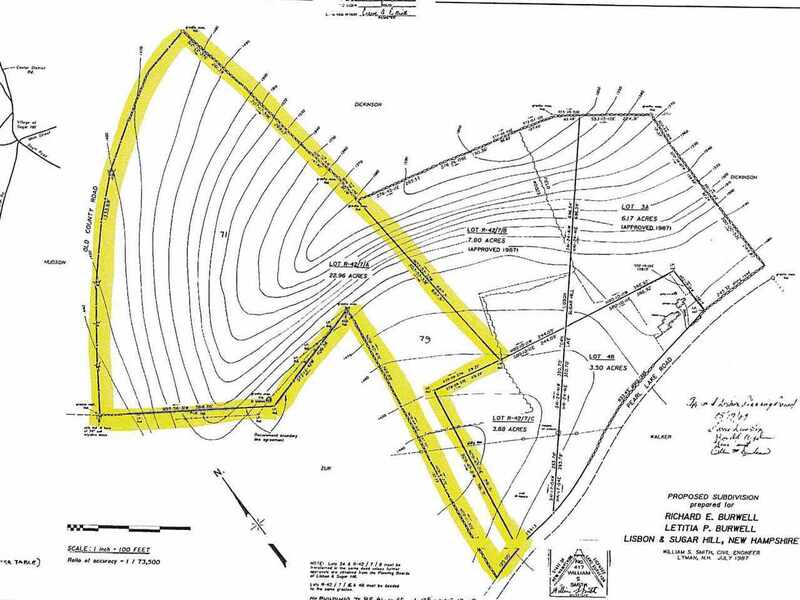 There is an additional 13.97 acres available FOR SALE offered at $159,000 that is located on the Sugar Hill side, that also has frontage on Pearl Lake Road. This parcel abuts the 22.96 acre lot and purchased together, it's close to 40 acres, subdivided into three lots, for $259,000.